Here you can post whatever Tricks and Tips which you know about in Mac ( Hardware + Software ). RULE: Never copy/paste any answers as it's strictly not allowed in our forum. You can get the help from various sources but put it in your own words. >> Always On The Firewall When You Have Accessing The Internet. >> For The Uninstalled Process Use The Software. >You can toggle hidden files by hitting Command plus Shift plus Period in any dialog window. >By Hitting Command plus Shift plus G in the Finder,you can Go To Folder dialog. >By hitting Command plus Option plus Y,you can create and instant fullscreen slideshow of the selected images. >By Hitting Command plus Option plus H,you can hide every window and application except for the foreground application. >You can hide active app or windows by hitting Command plus H.
>You can Cycle Through All Open Applications by hitting Command plus Tab. >You can hit Command plus Control plus Shift plus 3 to take a capture of the entire screen and store in the clipboard. You can have the possiblity of factime calling. Able to navigate the gestures. You can also access the recently used data. You can increase or decrease the volume. Merging of folders is possible. 1.Firstly i want to say you that you create a different user accounts to separate work from play. 2.You try to delete the unwanted files and free up your storage space. 3.You try to increase the Security by installing a security software. 4.You try to secure your hardware and software. 5.try to use your Mac lessly to prevent it from heating up. I hope these tricks are helpful to you. ***You can maintain your hardware and software safely. ***The more u use yours apps the more heat of MACK you will feel. ***You can install software for your MACK safety. It provides the facetime feature. You can move any files instead of using copy. Merging folders is done very easy. You can encrypt the volume. thank you all of dear for making to help by through of this site and solving to problum. 1. Disable Java in your browser. 2. Disable open safe files. 3. Enable OS X's firewall. 5. Hide current applications and current windows. 6. Install all software updates. 7. Instantly lock the screen. 8. Cut and paste files in finder. 10. Cycle windows in current applications. 11. Application launching with Spotlight. 12. Discard windows from resuming on Application quit. You can access recently used data. Encrypt or decrypt the volume. Storing the files is possible. 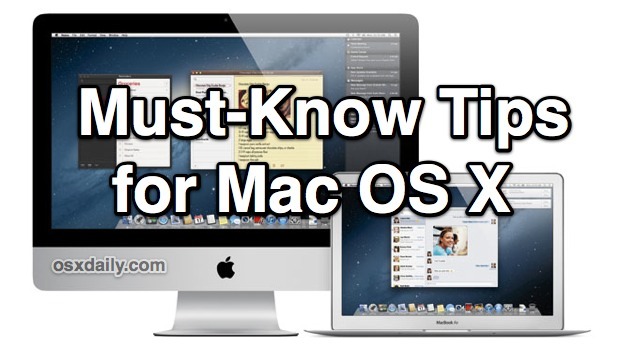 These are the Tricks and Tips of Mac. if you know the some tricks and tips in Mac , then it makes more comfortable to use Mac and you can enjoy your Mac device with more useful manner. See the video for the solution. Details about Cool Mac Tricks and Tips : This is a good forum for Mac Tricks and Tips .Here you have to provide a good quality answer and try to explain more .In this forum you have to focus on good answer and give answers of questions on step by step manner . For better understanding you can also attach a relevant image . In this forum you have to give step by step tricks and tips of Hardware and Software related problem . Welcome to Mac Forum . you can create and instant fullscreen slideshow of the selected images. I think you understand it. 1)Your information will be helpful for other person. 2)Give appropriate answer for the Question. 3)Do not copy the information for other answers. 4)Copy and paste is not allowed. 5)There minus marks are there each copy and paste question. The cool mac tips and tricks are. 1.Use your Mac for not more than a 1 hour. 2.try to install less games. 3.Try to install the best antivirus software. 4.Try to install the best internet security software. 5.Use the Time Machine for Recovery. Dear friends this forum is specially meant for cool mack tips and tricks. You should not use MAC devices for long time. Before operation in MAC you have to install strong antivirus software. Always install best internet security software to get best result. It necessiates to use time machine for recovery purposes. I will give some important tips to fast internet. If you want to get a fast internet you will need to remove the temp files. If you want to delete a temp files you will go to the start button. In the run command type the %temp% and click the OK button. Now you will select the all temp files and press the shift +Del button. 1 face time calling features. 3 encrypt or decry pt the volume. 4 you can access recently used data. 5 multiple selection animation works. 6 also storing the file is possible. ==>>Use the Time Machine for Recovery.